What happened to the sidebar's chatroom link? but it seems to have disappeared from the main site. Is this a temporary glitch? Later edit: I see my question isn't quite clear. 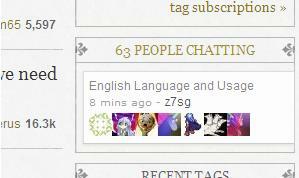 The chat box was missing from english.stackexchange.com, not from a question page. I don't see how the explanation given for question pages could possibly apply to the ginormous list of questions on the main page. It should always be present on meta. 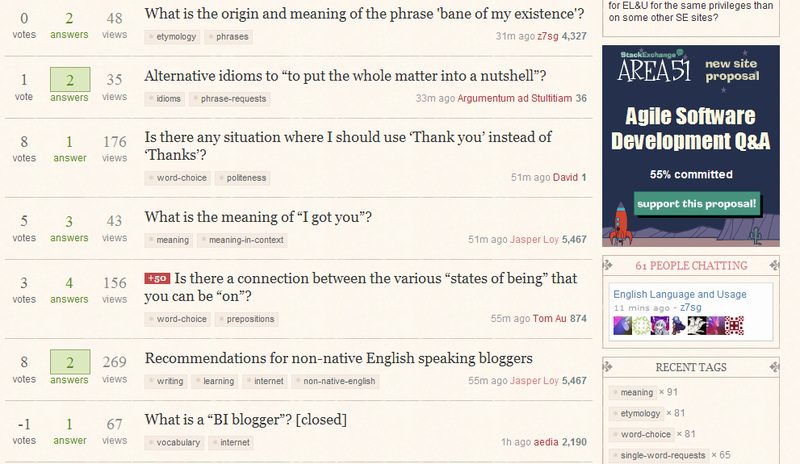 On the main site, what shows on the sidebar depends on how many answers the question has. That's because we don't want to push the related questions too far down the page, etc. Not the answer you're looking for? Browse other questions tagged support status-bydesign chat . Offered a publicist badge, but what happened? What happened to the bounty I placed on one of my questions? What does the number that appears to the right of the “tools” link mean? Chat: What is a Room Owner?